The question I’m most often asked on this blog is “What garden center in my area carries…” followed by the name of a plant. Yes, my blog is read all over the world (literally), yet people seem to assume that I know what’s available in the garden center 6 blocks from their home. I can rarely answer that kind of question. First, I don’t know your local garden center(s). And even if I did, very few list the plants they offer. While some local garden centers do have information pages with plant descriptions, these usually cover include plants they’ve carried in the past, likely when they set up the web site years ago, and is rarely an up-to-date list of what they carry. In fact, they often no longer carry that plant or instead, only have it in stock occasionally. If you’re looking for a local source of a plant, might I suggest you phone the most likely garden centers and nurseries? (I find many don’t respond rapidly to emails and a live phone call is more likely to elicit a response.) Phone on a week day during store hours, because the clerk who answers is not likely to know the answer off the top of their head and will need to forward your call to the store’s buyer or to the department head. Things will go faster if that person is in the store! Amazingly to me, as I have been buying plants by catalog nearly all my life, many gardeners seem unaware that you can order plants by mail. Yes, not just seeds, but live plants. Of all kinds. Even trees. As a result, the best way of finding a plant you really want but can’t find in your neck of the woods is to do an Internet search. Unlike garden centers that depend on people who shop in person and therefore have little motivation to maintain an up-to-date listing of what they sell, companies selling plants, seeds, bulbs, cuttings, etc. by mail usually do keep a current list of their plants on-line. After all, that’s how they make their money. Sure, you might find a mention “out of stock,” but then you can always send an email (the best way to reach mail-order nurseries) to ask when the plant will be available again. If you’ve never tried an Internet search before, here are the basics. 2. Enter one or more key words into the search bar that appears. 3. Now, click on the search button or hit Return. 4. A whole list of web pages will appear that include the word(s) you’re looking for. 5. Among the sometimes millions of results (I’m not exaggerating!) may well be what you’re looking for: a company selling the plant you want. 1. Enter the plant’s name and cultivar name in the search bar, making sure you spell it correctly. For example, Monarda didyma ‘Jacob Cline’. You needn’t worry about capitalizing correctly or the single quotes: search engines don’t take those into account. Hit Return or click on the Search button and you’ll probably immediately find several sources of the plant or at least a description. However, you may well find you have thousands of results. That’s a bit much. If so, you’ll have to refine your search. This search brought up 16,300 results, including 3 mail order nurseries. Success right from the get go… but it’s not always quite that easy! 2. To make sure the search gives you a more specific result, use the botanical name rather than the common name. For example, “grass” might give a whole range of results, from lawn services to marijuana suppliers, but Pennisetum alopecuroides will give exactly the ornamental grass you’re looking for. 3. Or type the species name or cultivar name in quotation marks (“ ”). Quotation marks tell the search engine the words inside must be searched as a unit. Better yet, type both the species and the cultivar name in quotation marks, but separately, as in “Echinacea purpurea” “White Swan”. This will help ensure only that specific plant will appear. 4. Such a search will likely give a mix of informational pages and nurseries. You want to buy the plant, so need nurseries. For that reason, try adding the word nursery to your search, as in “Echinacea purpurea” “White Swan” nursery and click Return. If you’re looking for seeds, you could try “seed” or for bulbs, “bulb”. Another good one is “catalog”. By adding “nursery” to the search, all the sites that came up were nurseries. 5. Great! As in the image above, you probably now have dozens of nurseries that sell the plant, perhaps one you know and trust right from the start. Go ahead and order your plant! American readers will find the widest range of nurseries, simply because there are more of them in your country. As a Canadian, finding plants I can buy is a bit more complicated. I can order seed from the US (and indeed, don’t hesitate to do so), but not plants, at least not without the proper permits. So, I prefer to order plants from my own country. You’ll find that most search engines will offer you nurseries in your country without your having to ask. You see, they know where you live, know your search habits and even know what language you usually use. So, in the first few pages that show up, there’ll probably quite a few misses, but it’s likely you’ll find a few sites that show exactly what you’re looking for: the plant of your choice offered for mail-order sale in your country. By adding the word Canada to the search, Google brought up only nurseries selling the plant in Canada. Admittedly, there are two wholesale nurseries on the list that don’t sell by mail, but still, this did give several sources of the plant. If no nursery in your country appears, try adding your country name (Canada, New Zealand, etc.) or your country Internet code (ca, nz, etc. ): that will sometimes point the search engine to a more appropriate response. Of course, the more obscure a plant is, the less likely it is to be available from a nursery you can order from. Remember that the botanical name is much more likely to lead to the plant you want than the common name (the exception being perhaps vegetables), so if you can’t find a plant under the common name you know (which may actually be quite local and not common at all), try that Latin name you hate trying to pronounce. Companies selling seeds by mail tend to be on-line all year, but many nurseries selling live plant materials are seasonal. Their on-line catalog may be pulled during the off-season (late fall through late winter in the case of many nurseries), then an updated one appears in spring. So, if you can’t find a plant, wait a few months and try again. Also, new plants to the market can sometimes take a few years to get on-line. So if you’ve heard of a brand new plant, but simply can’t find it at any mail-order source that will ship to where you live, try again in a year or two and it will likely show up. 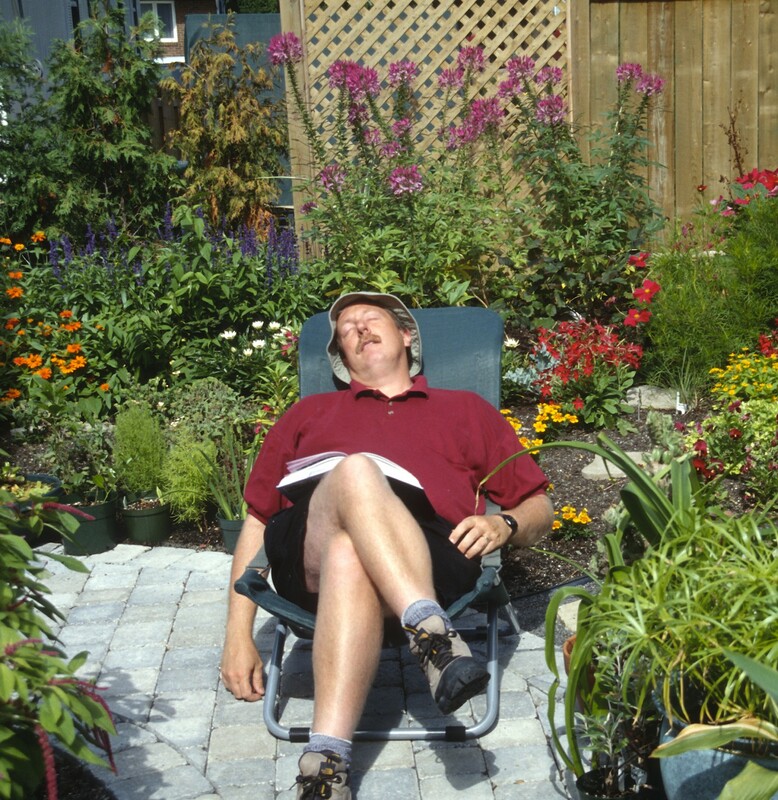 PlantScout on the Dave’s Garden website offers another way of searching for plants. If nothing above works and you desperately want a favorite plant, try posting your request on a forum, like one related to shrubs if you’re seeking a shrub, or to heirloom vegetables if you’re looking for an heirloom vegetable. There are literally hundreds of these forums: your local botanical garden likely has one if not several. Or try sites like PlantScout, PlantCatching or plantswap.org. To be honest, I’ve actually never tried searching in any of these ways: I always seem to find the plants I want through a traditional Internet search, as above. Yes, finding a very specific plant can be complicated, but don’t give up before you even try. Most of the time, after a bit of searching, you will find exactly what you’re looking for! Worm Composting at the Office: Don’t Ask, Don’t Tell! Your result confirms mine: why offer an email account if no one responds to it!